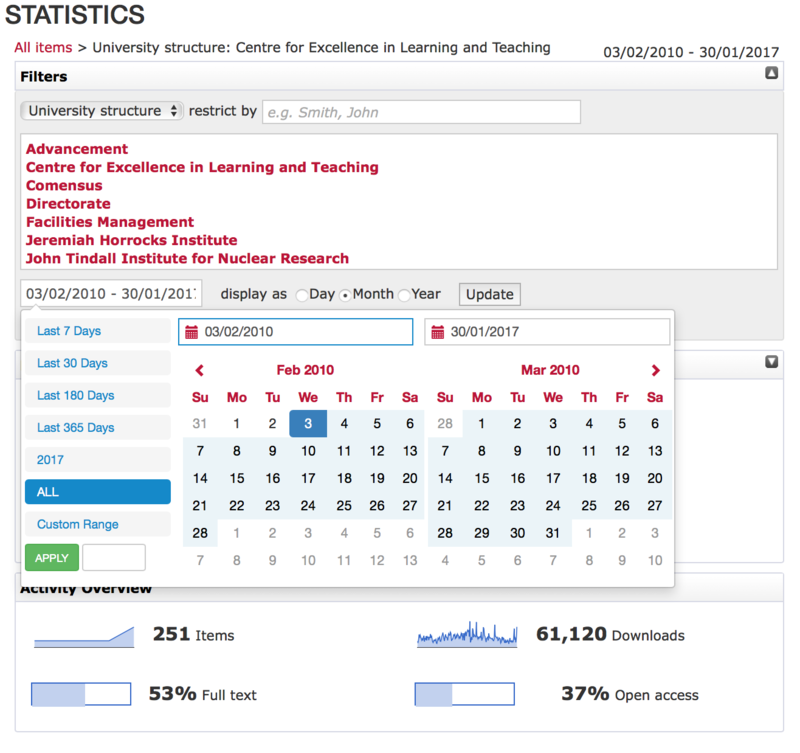 We are pleased to announce that we have finished the new version of our statistics reporting package, IRStats2. Overhauled the report form, making it more flexible and intuitive. Added improved robot/crawler with support for blacklists. 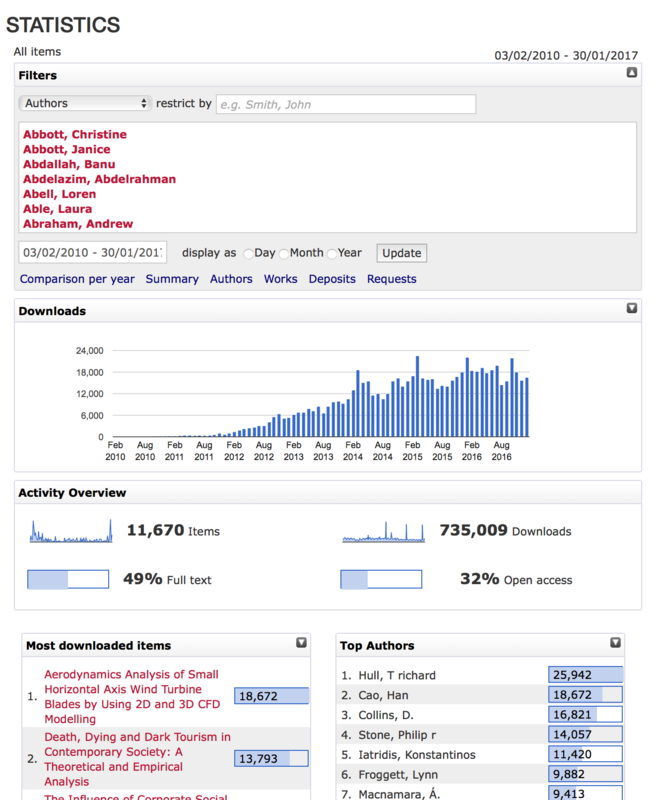 IRStats 2.5 is exclusively available to EPrints Services customers.